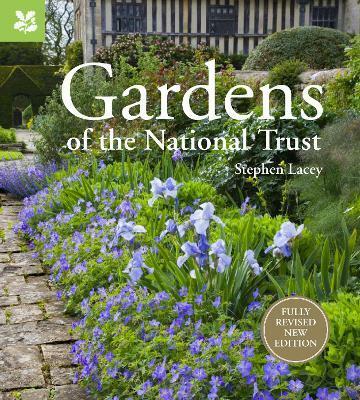 Much has happened in the gardens of the National Trust since the last revision of this book, and this edition has been substantially revised to embrace recent restorations - notably of walled kitchen gardens in numerous properties - to introduce recently acquired properties, and to showcase superb new photography. Nine gardens make their debut in this new edition, the Trust having acquired Seaton Delaval Hall, Sunnycroft, Godolphin, Quarry Bank House and parts of the surrounding Styal estate, and undertaken improvements at Treasurer's House, Goddards, Wordsworth House and Sheringham. Woolbeding also opens for the first time, presenting the work of more contemporary garden designers. The book serves as a practical guide as well as a source of inspiration. Each entry gives details of soil type and climate and an appendix includes many other gardens to visit. In addition, there are practical features on different aspects of gardening, written by National Trust head gardeners. Glorious colour photographs illustrate the entries, complementing the text to bring the gardens to life.